LynMarie Liberty-Ellington, President of the NWFA (National Women’s Football Association) will be Guest on Chalk Talk w/Coach Kirk Trammer on Thursday, December 4 at 6:30pm(pst)/9:30pm(est) at WFB Talk Continues. Tune in to hear what’s upcoming with the NWFA and what can be expected for the 2009 season. Tune in THIS Thursday, December 4th at 6:30pm(pst)/9:30pm(est) at WFB Talk Continues. Join us in Chat. Questions or Comments before the show email bj@wfbtalk.com and I will relay the message to Coach T or you can email him directly at ktrammersports@yahoo.com. Tune in tonight at 6:00pm (pst)/9:00pm (est) at WFB Talk Continues for Chalk Talk w/Coach Kirk Trammer. What’s ahead for the NWFA and the WFA? Since the announcement of Catherine Masters stepping down as CEO of the NWFA (National Women’s Football Association) we haven’t heard a peep of what’s going on with the league. No updates have been made with the site and even the Regional Leagues seem to have fallen off the internet. My suggestion for the teams of the NWFA would be get the schedule out and have a GREAT 2009 season. As for the WFA (Women’s Football Alliance), Nancy and I will be driving down to Fresno, CA on Sunday to meet with Jeff and Lisa King to discuss what the Women’s Football Alliance holds and what WFB Talk can do for them for the InAugural 2009 season. I look forward to meeting them for the first time, though we have had many conversations over the phone and via email. 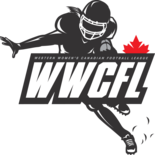 · The WFA has 4 regions set up, including the remaining team of the WPFL. o When is their cutoff date for the 2009 season? · How long will it be before the WFA and NWFA merge? · Did C.M. contact the IWFL about merging before quitting? o Was a gag order placed or are people that good at keeping secrets? o Site has yet to be updated with new divisions and teams. § Who got booted and who’s playing who? · How was everyone’s experience at the Football Camp or All-Star Event? o Were both a success? o What did the coaches meeting accomplish at the All-Star event? o What are the new divisions? o When will the league website be updated? § Boise State @ New Mexico St.
Tonight on 3rd & Long…You Won’t want to MISS IT!!! Just got Coach Penn’s show notes and tonight you won’t want to miss this one. Be sure to join us in the Chat room at 7:00pm (PST) while you listen at WFB Talk Continues. Pittsburgh Force Women’s Football Team Holding Tryouts August 16th, 2008! Tryouts will be held Saturday, August 16th at 4pm. The location is at Ambridge High School , 909 Duss ave Ambridge, PA 15005. The tryouts are open to all women age 18 and older. No football experience necessary. or call the league office at 615-860-4084. Tryouts will be held rain or shine! Remember to bring:* Water * $35 Registration fee * a friend to tryout too * current Photo ID * current Health Insurance card. Don’t forget to wear work out clothes. Tryout and work out the same day! It’s finally your time to try out.